Twenty years into democracy and black economic empowerment (BEE) has created a new black middle class that has only impacted a few people, while millions of poor people and unemployed youth grow frustrated and angry by the lack of transformation. This was an overriding concern for South Africa’s first black woman chartered accountant, Nonkululeko Gobodo as she discussed her journey as a transformational leader in a changing South Africa, to business professionals from the public, private and NGO sectors recently. “We are living in a very interesting era where we need to think seriously about going forward with economic empowerment because if we don’t start acting now we could face a situation like in Egypt in the next two years,” said Gobodo. 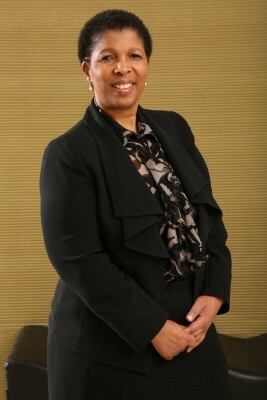 She founded Gobodo Inc in 1996 as the visionary leader of a group of black chartered accountants. 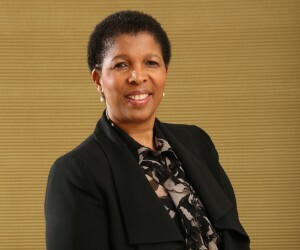 In 2011 Gobodo Inc joined SizweNtsaluba VSP, forming SizweNtsalubaGobodo, bringing her visionary focus with her in this landmark merger that redefined the meaning of BEE in the accounting sector. Gobodo said economic empowerment is not working because it is influenced by ‘instant’ wealth creation and not by building foundations to grow sustainable large businesses from SMMEs, which she said, is necessary to bring about true economic growth. The anger and frustration felt by the youth, indicative by the continued violence in Egypt and the Middle East should be a serious warning to South Africa. Gobodo explained that in order to be resilient civil society, government and business have to work together to transform the country, but to do so requires a new BEE vision. Gobodo painted a dismal picture of Zimbabwe’s decline, pointing out that South Africa has barely reached its second decade of democracy and that unless drastic measures are taken it will continue to move towards a Zimbabwe-type situation. Gobodo is a courageous entrepreneur, who started her successful accounting practice during the height of apartheid when black people were denied opportunities. From a small black owned accounting firm with two staff, to the merger with SizeweNtsalubaGobodo she now overseas a staff complement of over 1000 people. The company is the fifth largest and the largest black auditing and accounting firm in South Africa and is a member firm of Morison International (MI) that has over 90 accounting firms operating across 65 countries. In 2010 Gobodo was recognised as the Woman of Substance by the African Women’s Chartered Accountants Association, last year she was recognised as the Top Black Business Leader of the year by the Oliver Empowerment Awards and earlier this year she was appointed a board member of MI and Chair of MI Africa. Ignoring their advice Gobodo and Victor Sekese decided the time was right to tender for big audits. SizweNtsalubaGobodo’s success in auditing the Transnet account changed people’s perception of transformation in the accounting and auditing industry. “We had never run an audit of R80milion on our own. But as leaders, once you take that step you do everything possible to make it a success. Despite being attacked by the media from all sides, when Transnet announced their audit results the sense of being the sole auditor for Transnet changed people’s perception and there was now respect for black people. As pioneers of a new model of transformation, explained Gobodo, people should not be afraid to stretch themselves to the limit, even in the face of opposition. The secret said Gobodo, is to have a clear vision and to start a new transformation strategy slowly, have clarity about achieving objectives and consider the deliverance factor. “We have had 20 years to reflect on what worked and what has not worked, stop blaming government or business for lack of transformation.” She also stressed that civil society can and should join the conversation as there are many needs that have to be addressed. Possibly one of the most important challenges in the transformation process is tackling the education crisis. Gobodo expressed pain at seeing what the South African education system has done and the decisions that have been made that have impacted on society and affected the quality of business. Gobodo is looking to new a new breed of transformational visionaries who are passionate about South Africa. Although passion is the main prerequisite for leaders with vision, they also need to communicate a common model for the country, one that is embraced by government, business and civil society. Everyone has to play a part, even the white business owner living in Camps Bay or Llandudno. Gobodo said the business community is very foolish if they want to watch South Africa go up in flames and asks what businesses or individuals are doing in their own capacity to affect change. Although government has enforced BEE policies, up to now it has been met with resistance and Gobodo believes the time has come for government to listen to the concerns of business as their fears have not been addressed.